Santa Fe Community College will close the week of March 14-20 for Spring Break. No classes or activities will be held and no other student services will be available. All campus facilities will be closed, including the college’s child care cente Kids Campus and the Witter Fitness Education Center. The AARP’s Tax-Aide NM will not provide tax preparation during this week. The campus will reopen on Monday, March 21. The campus also will close March 25-27 for Spring Holiday. 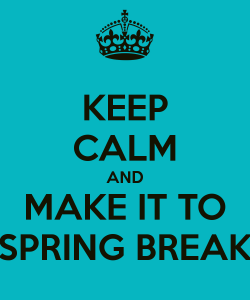 As with Spring Break, all campus facilities will be closed including Kids Campus and Tax Help NM. The campus will reopen Monday, March 28. During both of these breaks, La Familia Dental Clinic, which operates on the SFCC campus, will maintain its normal hours of 7:30 a.m. to 6 p.m., Monday through Friday. The Santa Fe Higher Education Center will remain open March 14-20 while SFCC is on Spring Break. The facility will be closed during the March 25-27 Spring Holiday.